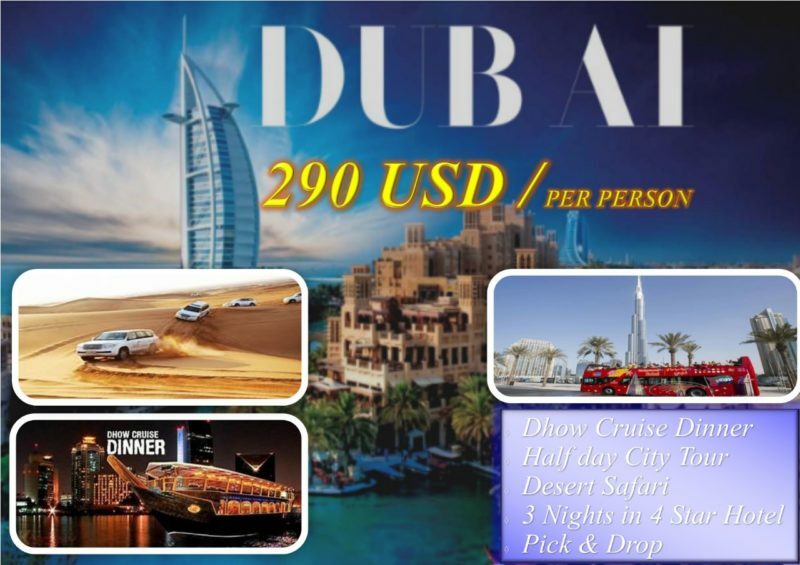 MHTT is offering best Tour Packages for Dubai from All over Pakistan like Lahore, Karachi, Islamabad or Faisalabad etc Cities , We are offering most affordable Packages for Dubai. This Package for 3 Nights in Dubai 3 to 4 Star Hotel stay,City Tour, Visa of Dubai and Breakfast. Transfer from Airport to Hotel is free in this Package. Dubai is undoubtedly one of the most unique cities in the world. For those with an untreatable case of wanderlust, this city is a traveler’s dream. Dubai has historic sights, futuristic architecture, active night life and out-of-this-world attractions.